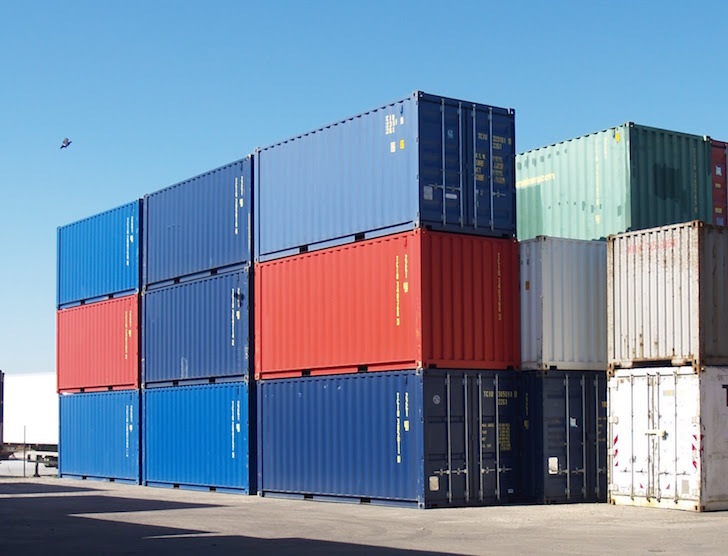 Shipping containers are an amazing invention – from truck, to train to ship – goods can be moved direct from the manufacturer, all the way to the end user in the same container. 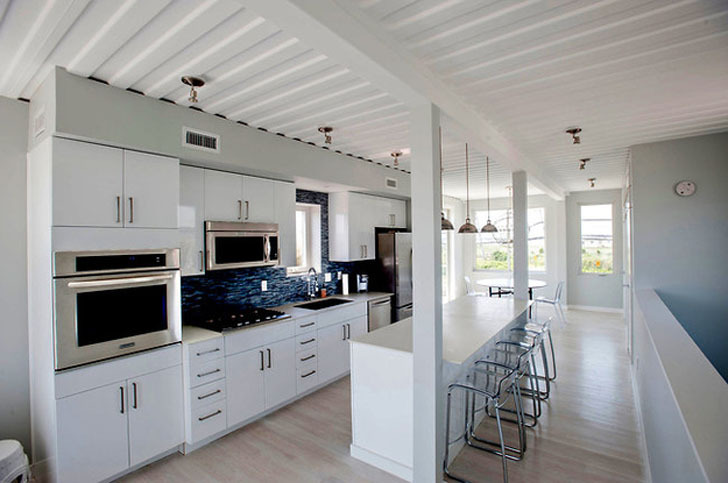 Shipping container houses are built from the ultimate in cargo storage. 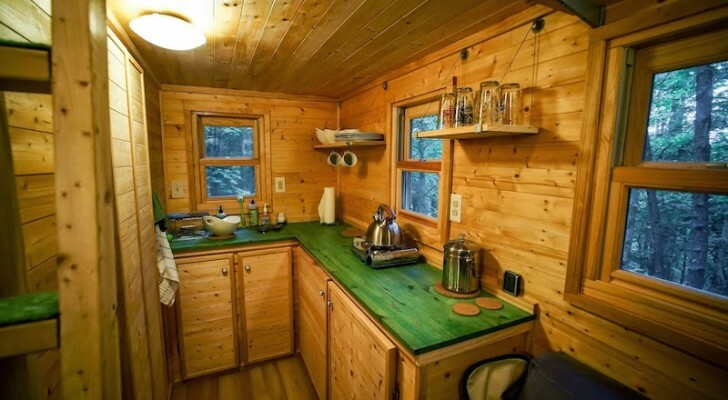 The rugged construction and modular design is also attractive to tiny house builders. 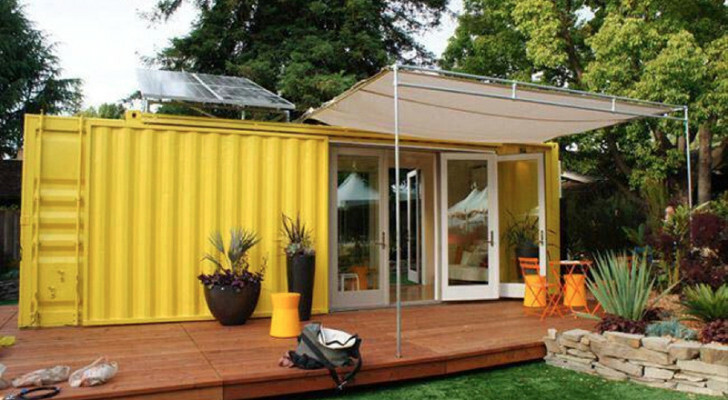 We thought we would share some cool shipping container homes with you! With a guest house like this, who needs a master suite? 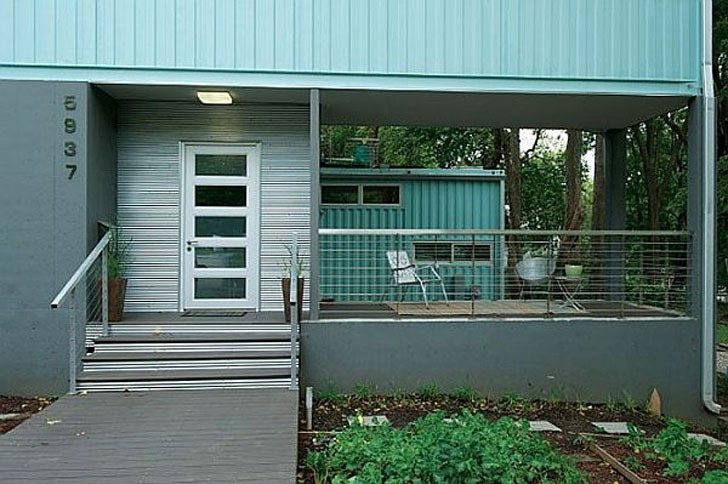 This guest house made from a recycled shipping container is one of the most charming we’ve seen. 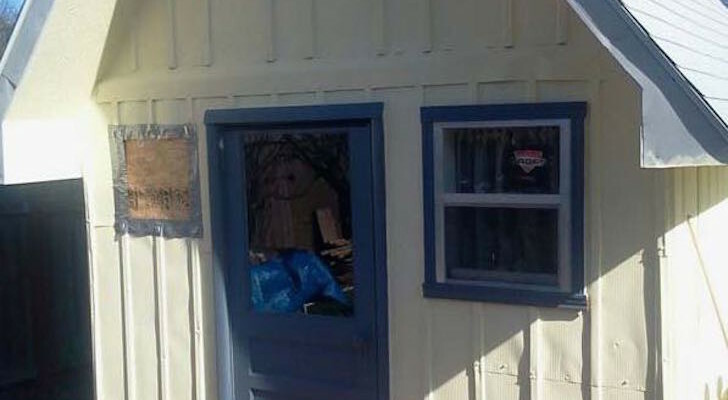 The builder tackled the boxed-in feeling by opening up one end and half of the front side for windows. 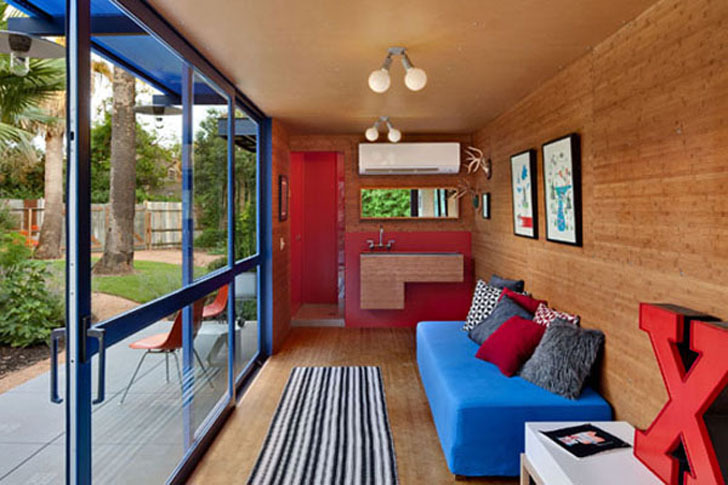 Shipping container homes don’t have to be industrial! The interior has a good balance of open and private spaces. 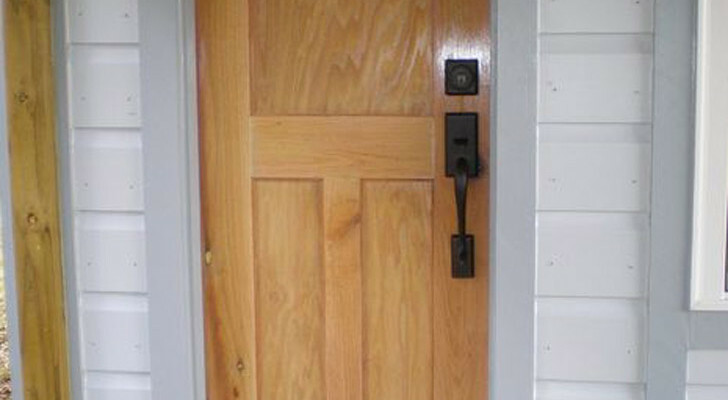 The interior paneling on the floors and walls matches, creating a simple, modern and warm appearance. 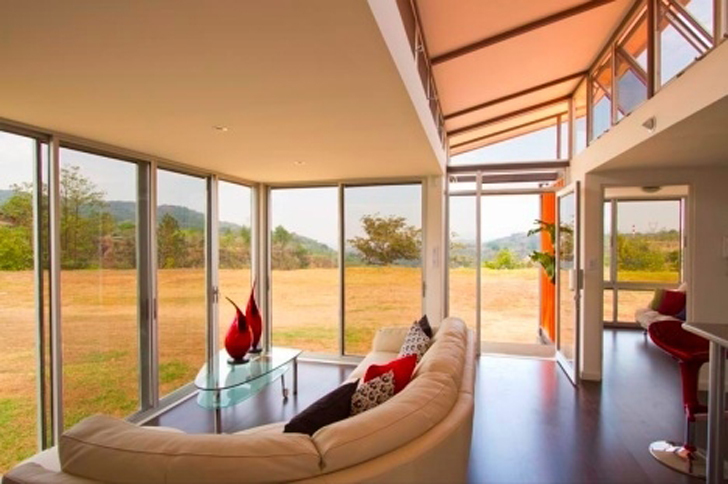 Bold colors add to the bright atmosphere, and the large sliding doors bring the outside in. 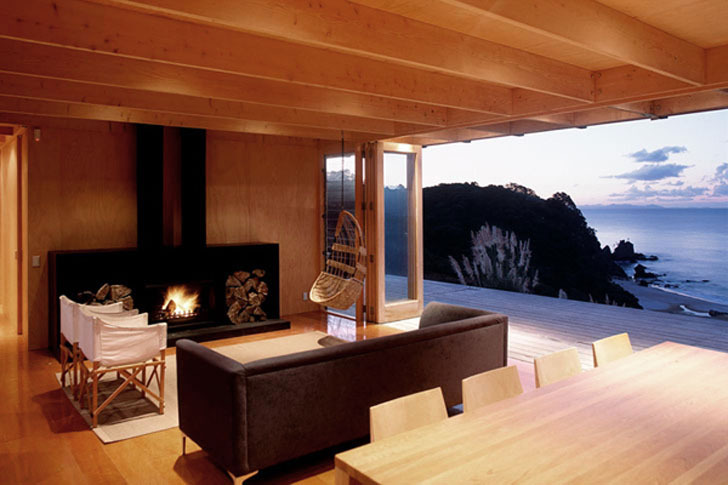 The small scale of the containers makes them ideal for vacation spots like this New Zealand beach house. 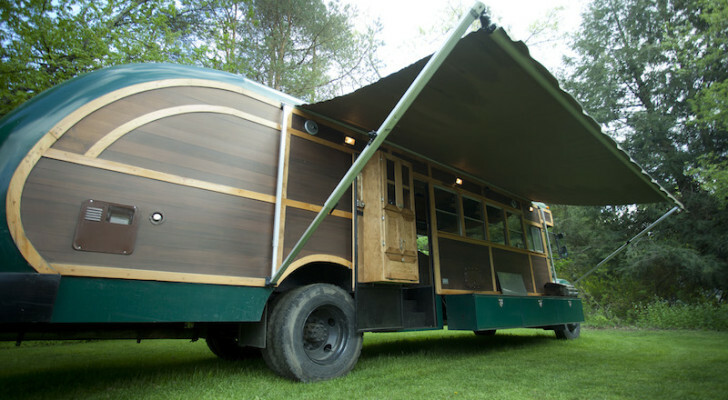 We love this design that opens up on both sides to take full advantage of the gorgeous surroundings. 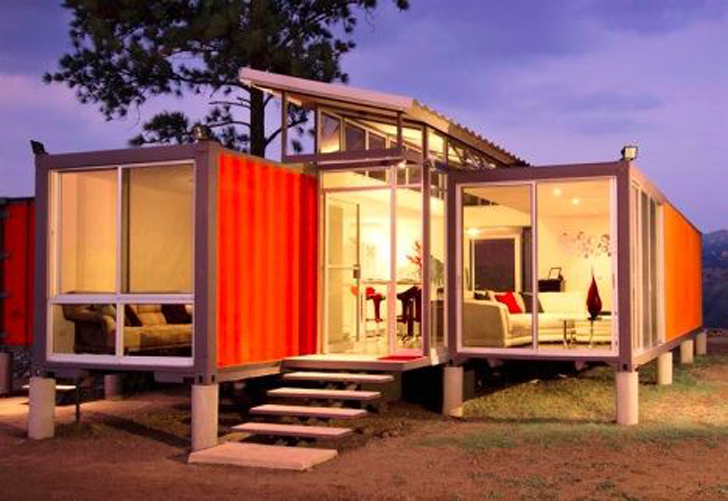 Shipping container homes make great inexpensive getaways. How could you not be pumped to visit this spectacular location? 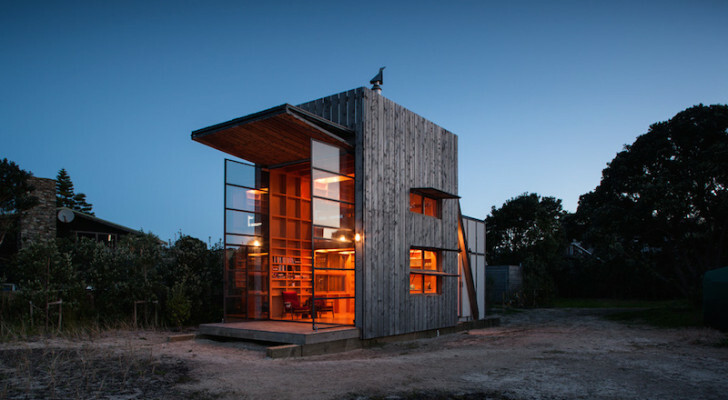 The sides are built from a series of bi-fold shutters that open up so the house seems to flow straight out onto the sand. 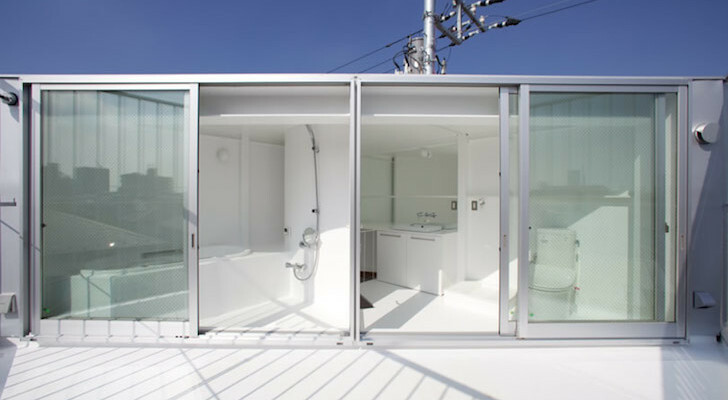 With concealed cabinetry and cantilevered folding shutters, this shipping container house fuses technology and smart design to make the most of the small floor space. 3. 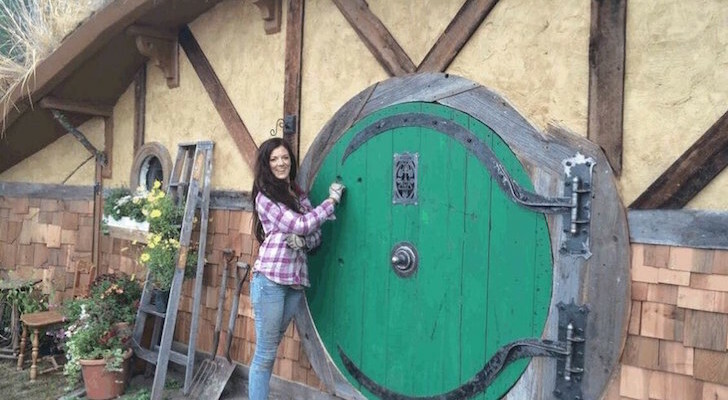 A House Within A House? 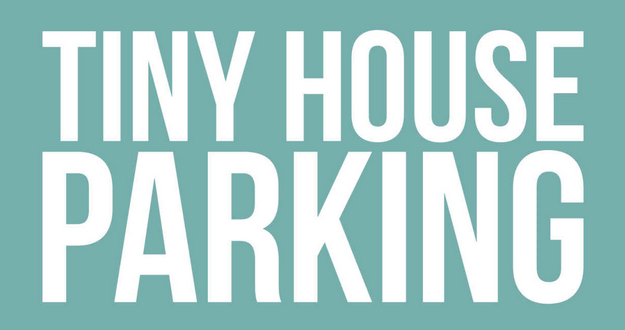 We’re not sure if this is a house within a house or a garage built for a house. 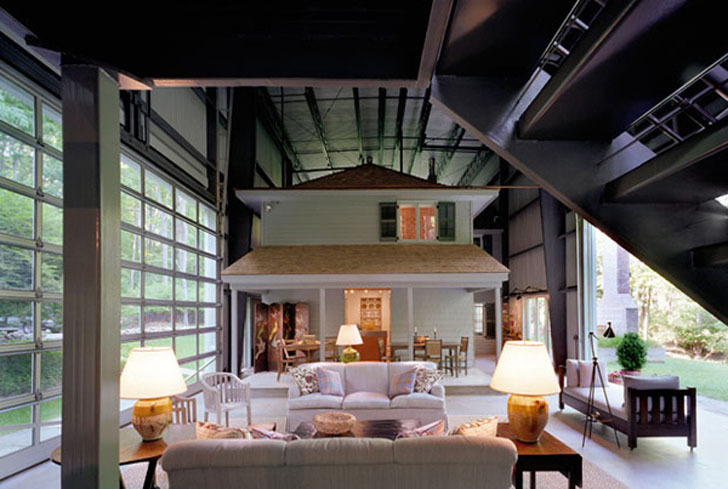 Inside this large structure built from repurposed shipping containers is what looks like the façade of a traditional home! The back side of the “traditional” facade is anything but. Check out that back side, this section is open to the outdoors with a wall of sheer glass. 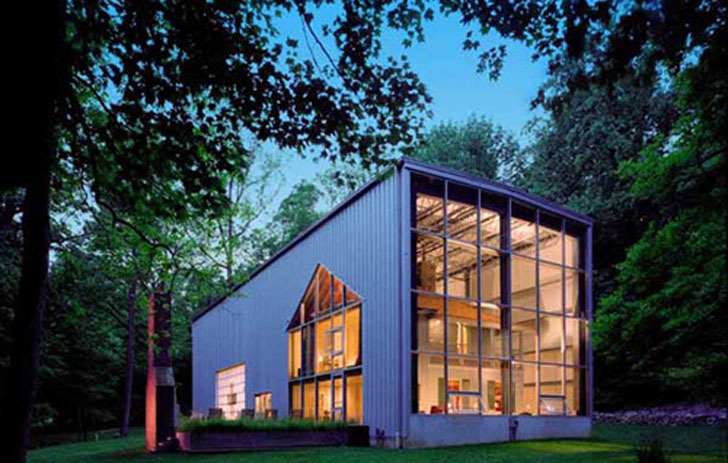 The large ends of the outside “garage” like structure are paneled in glass to bring in light. It makes for spectacular views of the lighted house at night. Just don’t walk around without your clothes on. 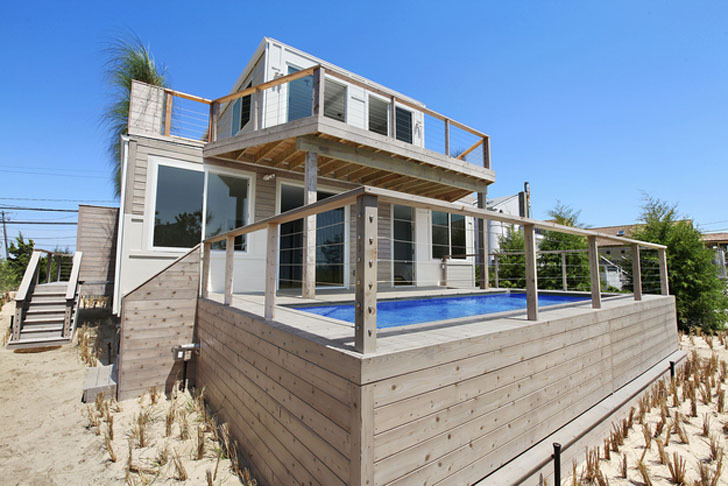 This Hamptons beach house almost manages to completely disguise its former life as a collection of heavily-used shipping containers. 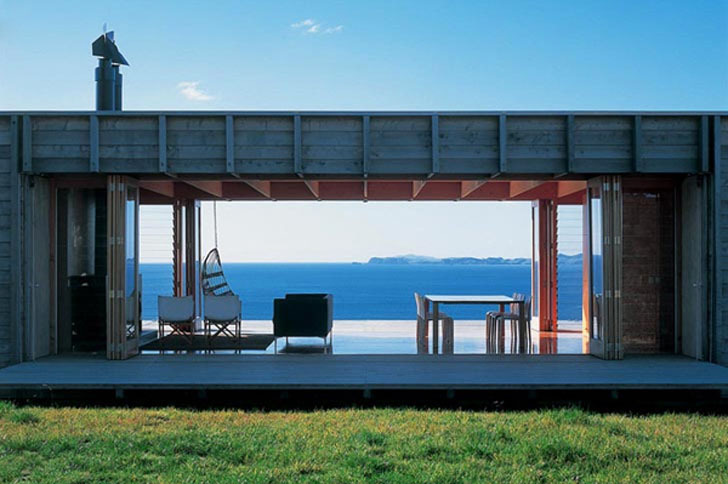 The outside wood siding and crisp, linear lines fits right in on this beach front property. Inside, the décor is light and airy, with a white ribbed ceiling made from the raw siding of several shipping containers. It looks like an intentional design element! The bleached wood flooring and ample floor to ceiling windows keep the narrow, rectangular containers from making you feel cramped. This contemporary house is built from five containers, and almost pulls off its undercover suburban looks without a hint of its origins. 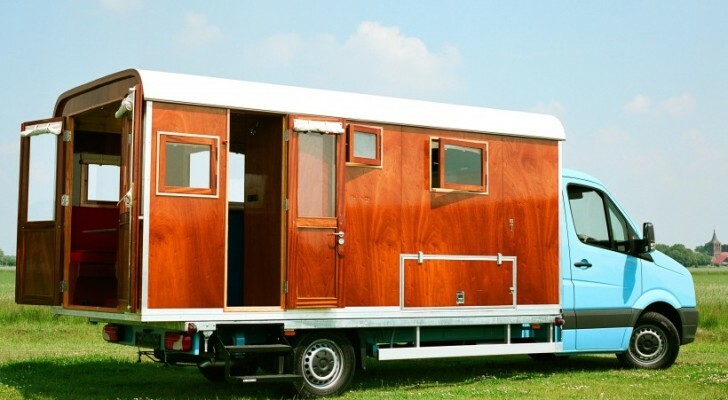 It may seem dark and small from the front view, but wait until you see the inside! 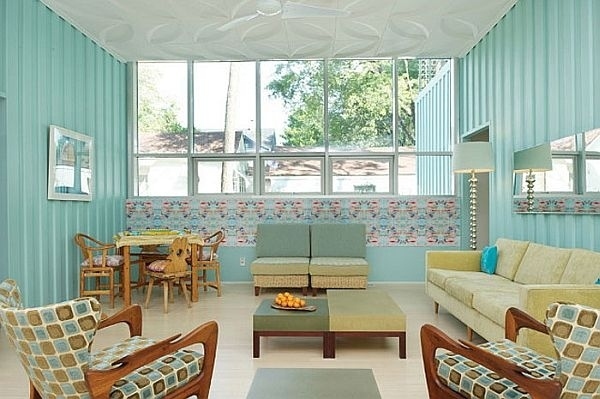 This classic “mid century” look doesn’t scream “container” to us. The boxy geometry of the containers fits perfectly with the contemporary, mid-century classic styling. Large windows make this room feel open and inviting, while the cool color palette encourages a relaxed attitude. 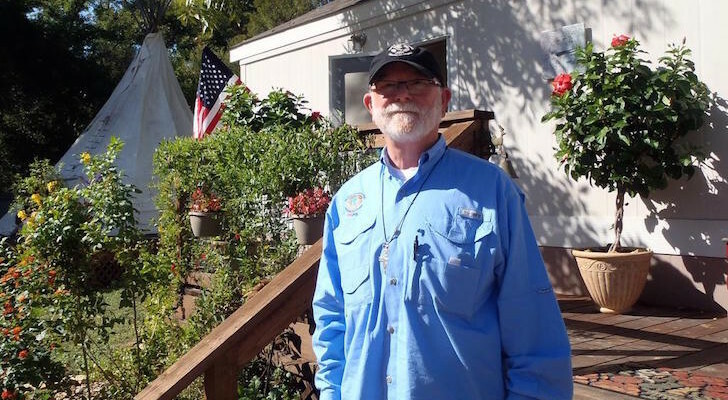 We couldn’t pass up the chance to share this gorgeous little house, not because it’s beautiful , or well designed (which it is) but because it only cost the builders $40,000 to put together! Talk about getting bang for your buck. The lifted roof gives the feeling of space in this little gem. The raised roof section, lined with side windows, allow so much light in that it’s impossible to imagine the cramped, dark quarters of a shipping container. 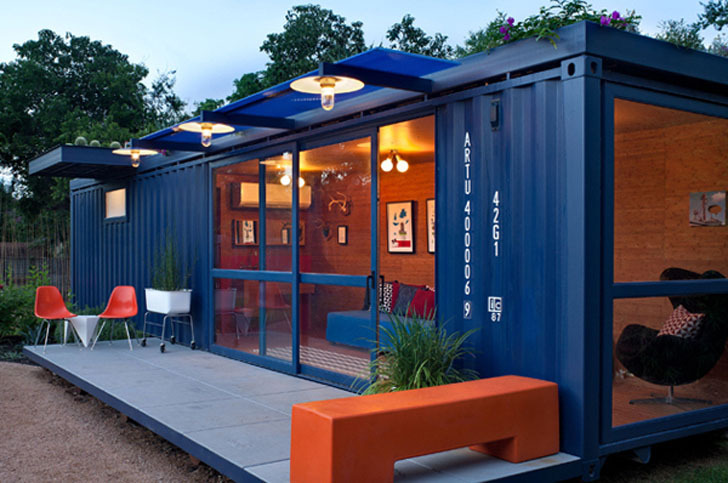 Bold colors and simple styling make this a great example of what can be done in shipping container homes, with just a little money and a lot of imagination.